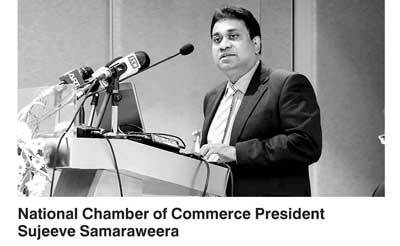 The National Chamber of Commerce President Sujeeve Samaraweera has commended the Government of Sri Lanka for the efforts being taken to regain GSP plus facility. “The business community considers it to be of great importance for the development of the economy of Sri Lanka and is a much awaited facility that will ensure export revenue to our country. Receiving 436 votes in support of granting GSP plus to Sri Lanka, in the EU parliament, proves that the international community has accepted the positive strides made by the Sri Lanka Government,” he said in a statement. GSP plus facility no doubt will raise the economy to greater heights with increased exports to EU countries. The opportunities for Sri Lankan economy would expand tremendously for garments, apparel, fishing sector and other sectors as well. Regaining GSP from the EU will be a big step for the new government which managed to negotiate the removal of the fisheries ban as well, imposed by the EU. The EU’s ‘Generalised Scheme of Preferences’ or GSP allows developing countries to pay less or no duties on their exports to the EU and gives them vital access to EU markets and contributes to their economic growth. The scheme will bring benefit to over 66 product categories from Sri Lanka which can enter the EU market.